The safer way to meet new walking friends and companions. Don't walk single - here's where to mingle! Be proactive - make it happen! Remember . . . good things only come to those who . . . . go and find them! This page is currently displaying messages from Male or Female walkers aged between 18 and 80 who are looking for new walking friends for walks in Ulster (Uladh), Ireland. NB. Messages are displayed in 'date posted/updated' order so the most recent messages (today's) are at the top of the first page and the oldest messages are at the bottom of the last page. I am a Female Walker, in my early 50s, based near Stafford hoping to meet both Male and Female new friends to go walking with. My Message: Hi, I live in the Staffordshire area and would like to meet male and female walking partners to walk locally and explore more of the UK. I walk my dogs each evening after work and like to try new routes over the weekend. I enjoy walking in the Peak District over the weekends as that is doable in a day. I am keen to learn new walking routes and I am open to suggestions. I am reasonably fit and can do a bit of scrambling but am not a climber. My map and navigation skills are not good, so would welcome someone with these skills so we don't get hopelessly lost (currently relying on google maps). 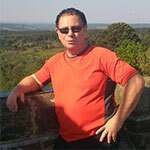 I am easy going and enjoy cafe's and a country pubs as part of the walk. I also enjoy theatre, comedy, eating out and riding pillion. I can cope with a little bit of scrambling if it is short and there are no steep drops. I'm happy to walk in all weathers - sunshine, snow, hail, wind & rain - bring it on. I like walking with dogs and will bring my own. Sadly, my map reading & navigation skills are pretty hopeless. I can drive and have a car. I am not actively looking for anyone other than a new walking companion but if that right person came along . . . I am a Male Walker, in my early 60s, based near Western Beacons hoping to meet both Male and Female new friends to go walking with. My Message: Hello my name is Roger and I live near the Western Beacons in Wales. Since taking early retirement from teaching I now work part time and freelance for AAP's delivering the Duke of Edinburgh Award scheme mostly in the Peak District, Lake District, Snowdonia and the Brecon Beacons but I'm available for training, supervising and assessing anywhere during the expedition season. When I'm on DofE I'll use my day van and stay on campsites, out of season I'll stay in a Youth Hostel or find an Air BnB near the area I'm exploring. In addition to walking I like visiting interesting places like National Trust properties e.g. Attingham Park near Shrewsbury and exploring different parts of the coast and countryside in the UK, Ireland and abroad. I'm free to walk during school holidays, some week days and most weekends and would like someone to share my time with. When it comes to Scrambling & Edges I'm OK with the occasional edge or scramble but don't go looking for it. With regard to the weather, this is the UK so it's going to rain sooner or later isn't it? Fine with me, I've got waterproofs. I like walking with dogs and will bring my own. I'd say my map reading & navigation skills are pretty good. I can drive and have a car. I am a Qualified Mountain Leader (ML) - Mountain Training Association. By putting my profile on here I am hoping to meet someone special. I am a Female Walker, in my early 50s, based near Worcestershire hoping to meet both Male and Female new friends to go walking with. My Message: Hello, I am looking for male/female walking friends. As I work all week it would mainly be for weekend walking, whether a day walk or an weekend away. I would say I have a good level of fitness, map skills get me by (most of the time!). I am happy on most terrains in any weather and any area at a pace to enjoy the surroundings. When it comes to Scrambling & Edges I'm OK with the occasional edge or scramble but don't go looking for it. I'm happy to walk in all weathers - sunshine, snow, hail, wind & rain - bring it on. I like walking with dogs but do not have one of my own. I'd say my map reading & navigation skills are pretty good. I can drive and have a car. Important: For the avoidence of doubt I am definitely not looking for anything other than someone to go walking with. NB. Messages are displayed in 'date posted/updated' order so the most recent messages are at the top of the first page and the oldest messages are at the bottom of the last page. *For more information about Walk Grades - see Walking Grading System.